SP Threaded BarrelsThe SP barrel threading completely screws onto your paintball with no more than two and a half twists. This allows for lightning fast barrel changes if you need to quickly switch bore inserts in the Freak Barrel back. 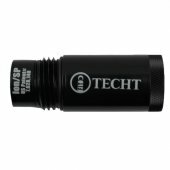 Despite the thicker thread design of the SP threaded barrels, a tight seal is still maintained. 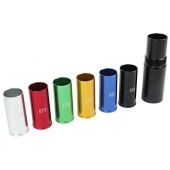 SP Threaded Barrels have a specific threading designed for your GOG, and Luxe paintball guns. Compatible paintball guns: GOG Enmy, Luxe Series. SP Threaded Barrels There are 2 products.